The days of contesting the Stanley Cup on backyard rinks and the basement are long gone, but that doesn't mean Brandon Sutter has forgotten those times. The 2009-10 NHL season saw Sutter, a member of the famous hockey Sutter clan, emerge as a true big-leaguer. In 72 games, the son of Calgary Flames head coach, Brent Sutter, scored 21 goals and recorded 40 points with the Carolina Hurricanes. And for as much as he was looking forward to upping his game for the 2010-11 campaign, the 11th overall selection from the 2007 NHL Entry Draft, still finds himself recalling the times before two points and playoff spots were on the line. Sutter, who played major junior hockey with the Red Deer Rebels of the Western Hockey League (WHL) under his father, still has plenty of reasons to smile. 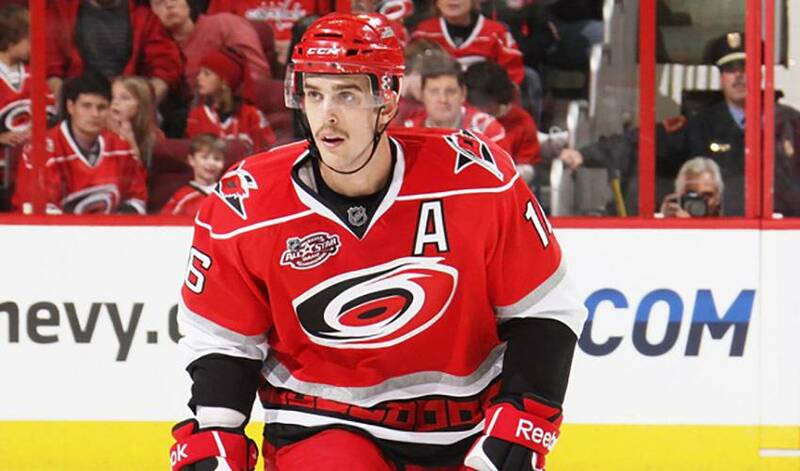 After dividing his time between Carolina and the American Hockey League's Albany River Rats in 2008-09, Sutter would earn a roster spot the following season with the Hurricanes and respond with a strong performance. It wasn't always smooth sailing, though, as Sutter's start in Carolina colours got off to a tough start. After he scored his first NHL goal on October 23, 2008 against the Pittsburgh Penguins, he suffered a concussion just two days later after a collision in a game against the New York Islanders. Sutter returned to the lineup after missing eight games, going on to appear in 50 games. In assessing last year's campaign, Sutter, who has dual citizenship, but represented Team Canada during his junior career at the under-18 and under-20 levels, walked away disappointed after Carolina failed to qualify for the playoffs. Sutter, like he's always done, didn't set any personal goals heading into this season. He certainly doesn't need to be reminded of just how tough it will be to nail down a post-season berth in the contentious Eastern Conference. Having missed the playoffs in three of the past four seasons, the players are eager to get their shot at duplicating the Cup-winning year Carolina had in 2006. With offensive star Eric Staal leading the offence and shut-down backstopper Cam Ward rallying the defence, Sutter is well aware it's not only that duo which will decide their fate in 2010-11. For his part, Sutter is hoping to see the red light go on more often. If only it were as easy as the times he experienced in his younger days.